Quality Castles is a well established bouncy castle hire company covering Chester, Wirral, Northwich, Frodsham and Ellesmere Port. Our services include bouncy castles, soft play hire, popcorn machines, candy floss machines, slush machines andpick n mix stands. We cover a 10 miles radius from Chester with no delivery charge. Outside of this and there may be a small delivery charge to cover the additional fuel and time. Being one of the leading bouncy castle hire Chester companies we do try to cater for all ages from 1 year olds with some lovely castles and quite stunning soft play. 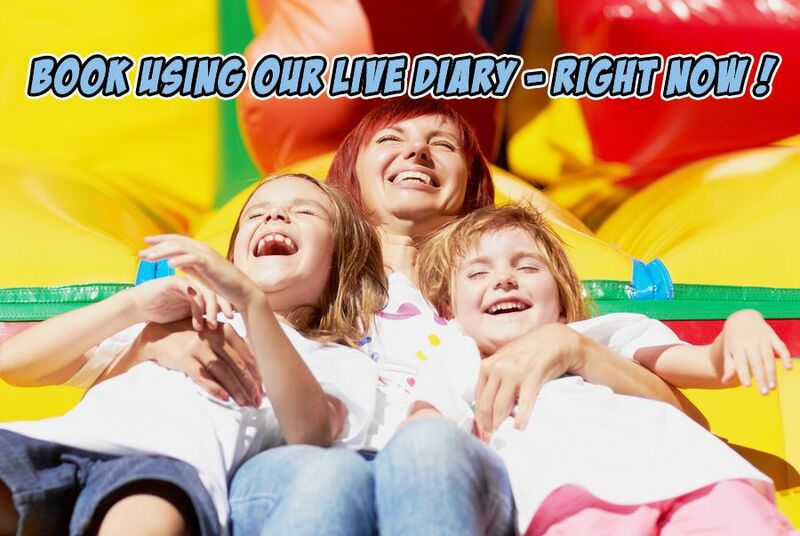 We invest heavily each year to bring you the latest themed bouncy castles and the best fun foods around! If you don't see something you want on our website do still get in touch! There's a good chance we may be getting it in stock soon or know of a company that offers it. We are more than aware of the competition out there... You have a lot of choice which is why we try to think out of the box to bring you the best quality. If your looking for a "Quality bouncy castle" then you've come to the right place! Here at Quality Castles, our number one priority is your children's safety. All of our bouncy castles contain valid test certificates. All of our bouncy castles have passed the same standard of a PIPA test by a registered RPii inspector whom are recognised by the Health & Safety Executive. We also carry full public liability insurance for £5,000,000. Our insurance policy certificate is available to download should you need to show any churches, venues or community centres before your event. Finally, and extremely importantly, all of our staff are enhanced CRB Checked and have their certificates to hand. We do a lot of work for play groups and nurseries in and around Chester and therefore wanted to take every possible step to ensure your getting the service and professionalism you expect. So why choose Quality Castles? To summarise, while we may not be the cheapest (we don't pretend to be either), all our bouncy castles are safe and have a safety certificate, all our staff are CRB checked. Don't run the risk with all the cowboy companies starting up each year. There are a lot of tacky, Chinese, untested or non-commercial bouncy castles available to hire in Chester.. Don't run the risk to save £5. So who have Bouncy Castle Hire Chester - Quality Castles worked with? Some of the biggest organisations have come to us for their inflatables and other equipment including British Telecom, Starbucks, Village Hotels, McDonalds, Village Housing, Knowsley Council, Liverpool University and Liverpool City Council. We have also donated and helped many charities including Alder Hey Hospital, Help for Heros and Marie Curie.